Developing Musicianship Through Aural Skills is a comprehensive method for learning to hear, sing, understand, and use the foundations of music as a part of an integrated and holistic curriculum for training professional musicians. Each chapter is organized to take advantage of how our minds and instincts naturally hear and understand music and provides a variety of exercises for practicing and integrating the structure into your musical vocabulary. Developing Musicianship Through Aural Skills will provide you with the musical terms, progressions, resolutions, and devices that you will be able to draw upon as a functional and usable musical vocabulary. Ear training exercises on the companion website reinforce both discrete structures (intervals, chords, etc.) 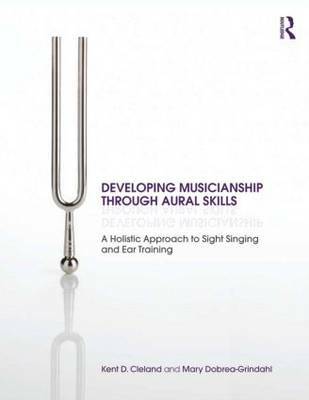 as well as all rhythmic and melodic material, and sections are provided to open discussion and reflection on the skills and attitudes professional musicians need to be successful. Easy to Understand Explanations: Topics are logically ordered and explained to help the student make connections to their theory instruction and common usage. A Complete Method: Detailed instructions are given for singing and hearing structures as they most commonly appear in music., providing students with a proven, reliable process for creating and discerning musical structures. Exercises: Ideas for drill, pitch patterns, rhythms, melodies, duets, sing and plays, and examples from the literature help the student to integrate each chapter's material. Reflections: Discussions of topics that help students to develop as a person, a professional, and an artist, and to integrate aural skills into their musical education. Companion Website: Ear Training tools and video demonstrations. You can find the companion website at www.routledge.com/textbooks/developingmusicianship.